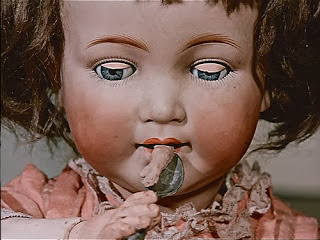 As I will be covering the subject of dolls in a post later today, I thought I'd take this opportunity to look back at one of the most famous pieces of film created by Czech puppeteer and self-professed surrealist Jan Svankmajer. Jabberwocky, an adaptation of the nonsense poem by Lewis Carroll, is clearly inspired by the lunatic notion that, in order to achieve a form of great truth, the artist must leave all reason behind. Using cryptic, rather than concrete, symbolism, Svankmajer is able to sculpt a film which allows the viewer to look for Rorschach-style meaning where it may not necessarily exist. As such, Jabberwocky is as profound or a superficial as the observer of the presentation would like it to be. The movie, for those non-accustomed to films boasting non-linear narratives, may startle some with it's flagrant disregard for anything as usual as plot; conversely, such an approach may also bore to tears a modern audience who are accustomed to features that can expertly maneuver the terrain between cerebral and emotional without distancing it's viewers with outlandish approaches to communicating philosophical or ideological messages. 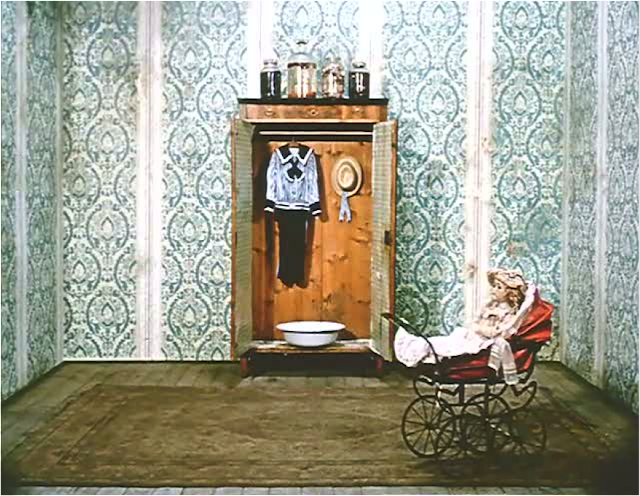 We are welcomed into the world of Jabberwocky (following an introductory sequence featuring a child's spanked bottom) with the image of a wardrobe which glides towards the camera, opening to reveal a playroom full of toys and dolls. 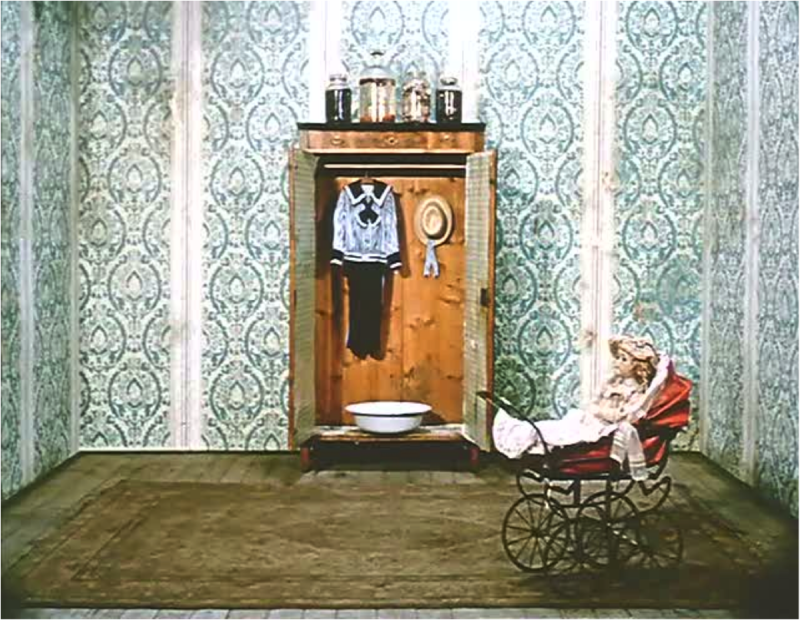 Via the magic of stop motion animation the items come alive and float around the room - are we inside a child's imagination? If this is the case, he or she would be a nightmare to babysit. Hyperactively, Svankmejer's film cuts from part to part with seemingly little rhyme or reason - a maze is being drawn, there's some dolls in a cup, oh look here's a cat. Many have stated that the sum of the film ties in with the Czech animator's overall oeuvre as a representation of the decay of childhood and how the imagination of the young is destroyed over time as we become socialised. It's unlikely that this is the message anybody not grounded in academia would take from the film and this, ultimately, is an accurate summary of Jabberwocky's failings - if meanings aren't forthcoming to a general audience, one not versed in the finer points of overly pious surrealist manifestos, what is the purpose of its existence and who is it for? Convoluted and obfusticated, Jabberwocky feels like story-time from an intoxicated relative who you actively despise. Perhaps Svankmejer would have been better off adapting another famous literary tome - The Emperor's New Clothes.